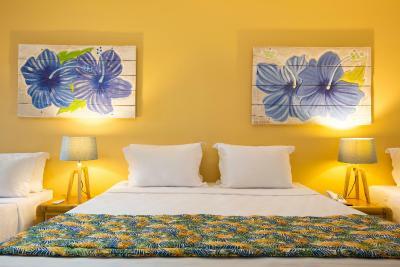 Lock in a great price for Hotel Armação Porto de Galinhas - rated 8.7 by recent guests. Da estrutura para atender as crianças principalmente ao bebê. Atenção aos detalhes onde havia repelentes no quarto e na varanda da acomodação pois meu filho é alérgicos picadas de mosquitos: equipe de atendimento está de parabéns. Ideally set in the white sands of Porto de Galinhas Beach, just 1.2 miles from the charming city centre, Hotel Armação Porto de Galinhas offers swimming pools for children and adults, restaurants and a beach bar. WiFi is free. The air-conditioned rooms are colourful and spacious. Some provide a private balcony with a hammock. 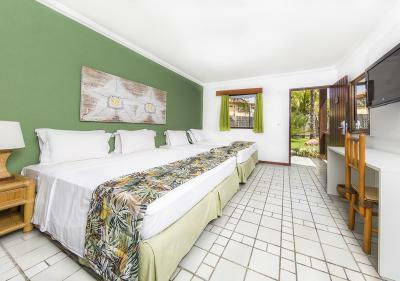 All rooms offer a minibar, a safe and cable LCD TV. For adults, there is a massage gazebo with a view of the beach, a tennis court and fitness centre. A mom's kitchen, a baby's changing room and a nursing room are also available. Recife International Airport is 31.1 miles away. Hotel Armação Porto de Galinhas has been welcoming Booking.com guests since 29 Apr 2010. This air-conditioned room comes in various sizes and have free Wi-Fi. It features a hairdryer, cable TV, minibar, telephone and safety deposit box. Some feature a balcony. Located near the front desk and restaurants, this air-conditioned room boasts a charming décor. It offers a flat-screen cable TV, ceiling fan, hairdryer, minibar, safety deposit box and free Wi-Fi. Some rooms include a private balcony. This triple room features air conditioning, cable TV and minibar. House rules Hotel Armação Porto de Galinhas takes special requests - add in the next step!